England should have gambled on seamer James Anderson’s fitness and included him in the squad for the first Test against Pakistan at Lord’s, paceman Stuart Broad has said. 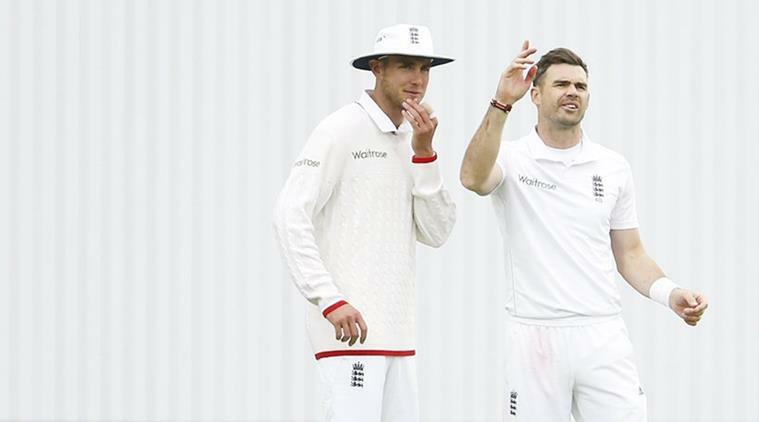 Anderson, England’s most successful Test bowler with 454 wickets, was left out of England’s 12-man squad for the first match of the four-Test series beginning on Thursday. In his absence, Toby Roland-Jones or Jake Ball will make a Test debut at Lord’s. “I would have been tempted to have Jimmy in the 13, then you have him around working with the bowlers, pushing his fitness to maybe play on Thursday,” Broad told British media. “I saw him (last week) and he was doing OK. He was pretty certain he would be included. I don’t want to speak for him but he will be disappointed he is not in the squad. The first Test at Lord’s on Thursday is likely to be a tense occasion as it marks the return of Pakistan’s Mohammad Amir to the scene of his spot-fixing scandal of 2010, for which he was given a five-year ban.